Chicago is a city with thousands of well-trodden restaurants, bars, and attractions. Some are popular because they're beloved classic institutions, others because visitors seem to plan their itineraries based on pamphlets in their hotel. We're addressing the latter with a guide to avoiding Chicago's tourist traps, for newcomers looking to dodge the crowds of lemmings in favor of spots with more local character. The Mag Mile is a shopper's paradise… if you love pushing through block after block of slow-moving crowds to cram into monstrous outlet stores (in which case your devotion to American Girl Dolls might be out of hand). It does serve a purpose for some high-end shoppers, but doesn’t offer most Chicagoans anything they couldn’t find at their local suburban shopping mall. 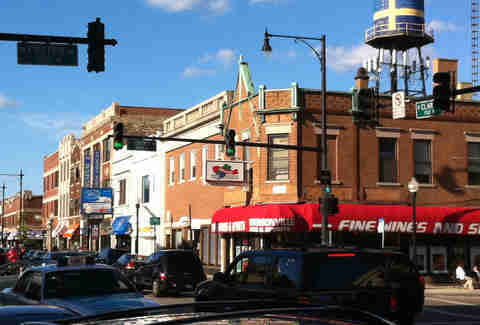 If you want to enjoy a bevy of truly unique shopping options in a historic stroll-friendly neighborhood, try heading north to Andersonville. Grab a coffee at La Colombe and kill an entire morning digging through a dozen antique shops like Woolly Mammoth or Brownstone where you can find anything from a classic armoire to a taxidermy otter. If you’re feeling something a bit more contemporary, try the many stylish boutiques lining Clark St, including Milk Handmade for funky women’s clothing or modern home decor at Cassona. No food item is more closely associated with Chicago than deep dish, yet newcomers will learn many residents have ambivalent feelings about the infamous Midwestern take on the pizza. Gino’s East has become a go-to spot to grab an authentic hunk of cheese, meat, and sauce, which is OK, but for a city that’s the home base of deep dish, you can do better. 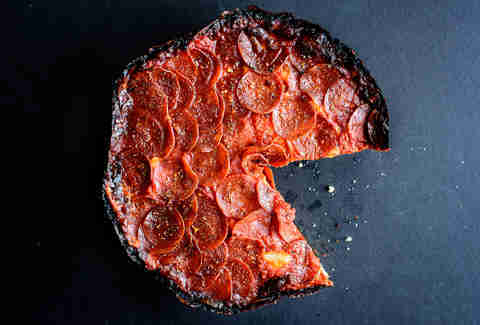 If you want some deep dish that will truly justify the hype, go with Pequod's. The mass of toppings is fresh and in better proportion than most alternatives and, like any true pizza aficionado will tell you, the crust is the star of the show. 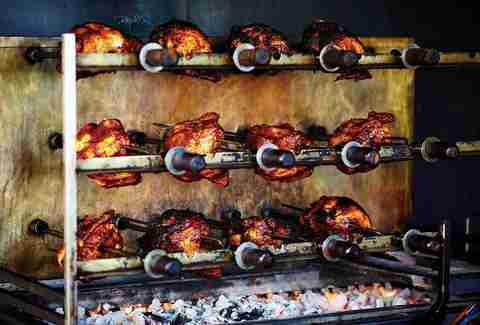 Here it's caramelized, cheesy, crispy, chewy goodness that more than makes up for the long weekend wait times. First, we still call it the Sears Tower. Second, this is still the tallest building in the United States, spires be damned. Third, this is not the place with the best view of the city. It’s $22 and hours of waiting to stand around on the skydeck for 10 minutes. Maybe saved for a trip with the parents or a visiting cousin, not for you. 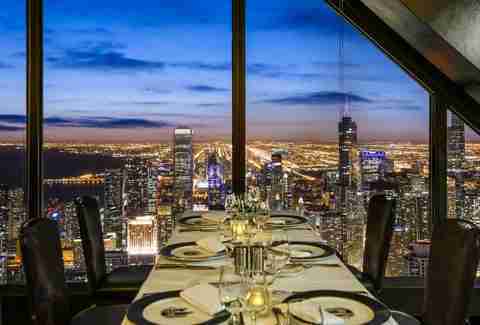 Instead head over to the John Hancock Center on Michigan Ave. Its beautiful sloping frame and crisscrossing X-braced design house The Signature Room on the 95th floor. The view is top-notch, and you can actually sit, relax, and down a couple of martinis while you soak in the glory that is the Chicago skyline. 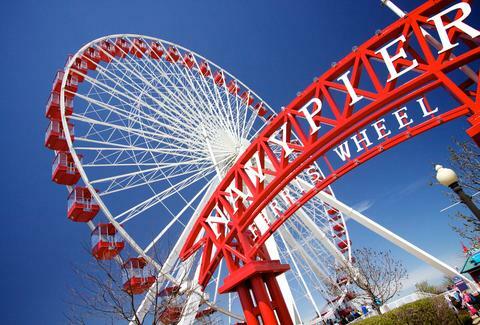 Navy Pier is like a David Lynch movie: it’s both a mystery and a nightmare. Essentially a 3,000ft-long souvenir shop packed with people waiting in line to eat at Harry Caray’s and Jimmy Buffett's Margaritaville to kill time at the Midwest's top tourist attraction. It’s Chicago’s version of what Times Square has become, just without the history. 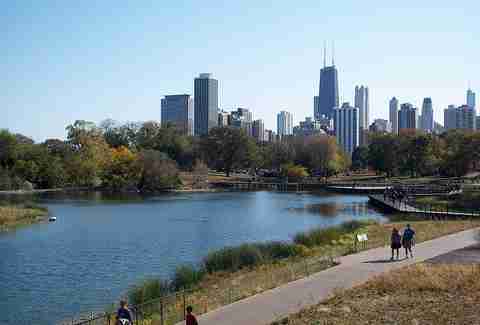 Alternatively, you can spend some time in a real Chicago landmark, Lincoln Park. Stroll or bike the lakefront trail, take the kids to the Chicago History Museum and (free!) Lincoln Park Zoo, then peruse the nearby run of bars and restaurants along Clark St for all your non-Bubba Gump Shrimp dining needs. On first glance, Taste of Chicago seems enticing; why not spend a day in beautiful Grant Park sampling all the best food Chicago has to offer? Because the lineup isn't nearly as elite as it ought to be, especially considering you'll be braving the kind of crowds usually reserved for European soccer riots. On the other hand, you have Taste of Randolph, a comparatively calm gathering along what may be the best stretch of restaurants in North America. Instead of hot dogs and burgers, have some unparalleled cuts of charcuterie from Publican and grilled brisket from bellyQ. Oh, and with past concert headliners like Spoon and Dinosaur Jr., the music is almost as good as the food. Combine the fact that original owner Billy Sianis supposedly placed the “Curse of the Billy Goat” on the Cubs with an iconic '70s SNL sketch based on the restaurant (Bill Murray and writer Don Novello were regulars), and you have the recipe for a tourist magnet. Interesting history? Sure. 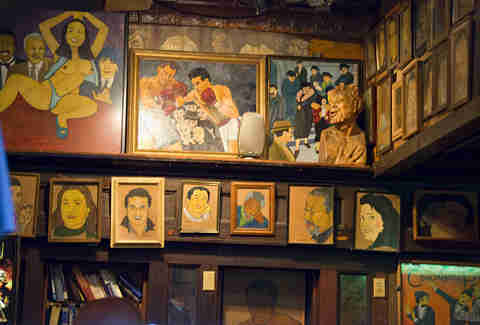 A place to actually hang around and have a few drinks? Not so much. It’s more of a burger stand than a bar, though the cheap beer is more of a draw than the pedestrian burgers. One of the best things about living here is having real beaches (real to us) right in the city, especially after spending half the year trapped indoors. In the heart of Chicago, North Avenue Beach is usually the first strip of sand people flock to, however its narrow size and popularity mean it can be a nightmare mix of pedestrian traffic and territory jockeying on hot summer weekends. 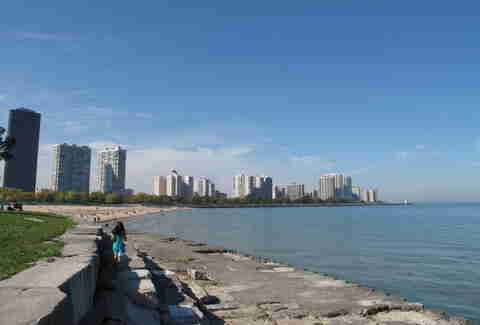 Nestled along Chicago’s lakeshore a few miles north is Foster Beach. Seemingly lost in the mix between the better-known Montrose and Hollywood options nearby, Foster beach is rarely overcrowded, a refuge of sunny tranquility in the city. Chicago is a steakhouse kind of town, and nowhere is that more apparent than River North. You’ll find no less than 40 different options in and around the former industrial neighborhood including local classics like Gibson’s and Gene & Georgetti's. Although “different” may be kind of a stretch. Even though a lot of these places serve a good steak, you’ll end up dropping $50+ for a slice of aged beef and wood-covered walls you could find almost anywhere. For a more unique and wallet-friendly option, try Tango Sur. 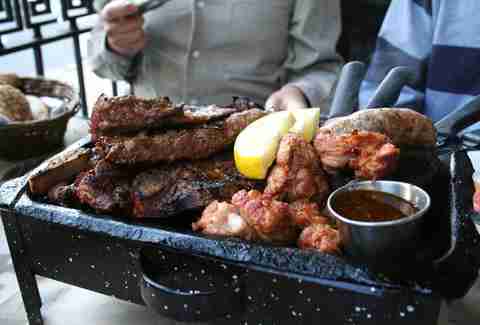 This Argentinian-style steakhouse serves up big cuts of meat with a variety of delicious spices and sauces; think a slab of South American fillet coated with chimichurri and marsala, for half of what a traditional River North place will charge. Also a neighborhood favorite for its BYOB policy. We get it, you need something to do in between dinner at Portillo's and a late-night visit to Rock N Roll McDonald's. For a night of live music, you have better options. Lots of better options. 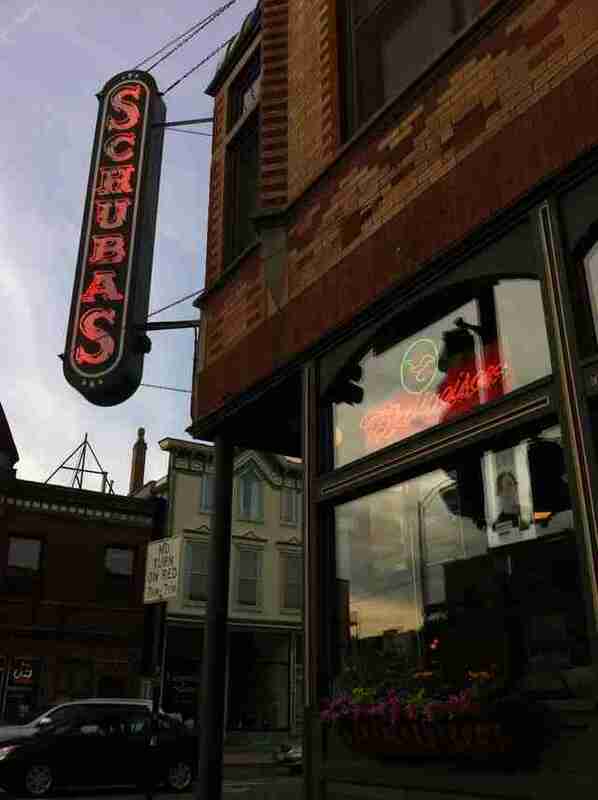 Those more focused on catching great up-and-coming bands should head over to Schubas. Built in an old Schlitz brewery, the venue is the perfect size with great views no matter where you end up, and with real energy from the crowds. Matt Spina is a Chicago writer and an expert in avoiding unnecessary human contact. He dispenses essential truths @MR_spina.